On Thursday, Turkish president Recep T. Erdogan announced that his country plans to construct walls along Iran and Iraq borders similar to the one currently being erected along Turkey-Syrian border to protect Turkey from Kurd rebels. Turkey has so far completed the construction of a 650-kilometer (403-mile) stretch of the wall along the 911-kilometer border with Syria. Turkey shares a 499-kilometer border with Iran in the east. Erdogan is a close ally of both Iran and Saudi Arabia. Both countries are Ankara’s major trading partners. In 2011, Riyadh promised to invest US$600 billion in Turkey’s agriculture sector. 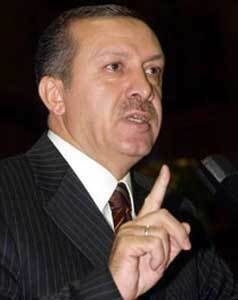 Tehran didn’t criticize Erdogan’s announcement as it would serve some Iranian interests. For example, the wall would prevent smuggling of billions of dollars of goods from Turkey to Iran, which has caused Iranian small businesses, particularly garment-producing ones, to go bankrupt over the past years. It would also reduce cross-border movement of Israeli supported Party of Free Life of Kurdistan (PJAK), an outlawed, terrorist group that seeks self-governance for Iran’s Kurds. PJAK randomly carries out random attacks on Iranian targets for decades now. The anti-Ankara Kurdish group PKK and its various regional affiliates have often used the difficult terrain along the Turkish-Iranian and Iraqi border to launch raids on Turkish territory. Erdogan is frequent visitor to Iran and have never missed an opportunity to meet Iran’s Supreme Leader Ayatullah Ali Khamenei. Interestingly, a few years ago, Erdogan and Netanyahu blessed creation of a Kurdistan state in Iraq. Last year, Iran’s former foreign minister Dr. Ali-Akbar Velayati claimed that a Kurdistan state would be second Israel in the region. He was referring to the Zionists plan to carve Kurd majority areas out of Syria, Iraq, Turkey and Iran to form a pro-Israel state of Kurdistan. Nearly 100,000 Kurd Jews are citizen of the Zionist entity. Berlin Wall kept separated Germans living under Soviet and American occupation for 28 years (1961- 1989). In 2002, the Jew occupiers start erecting an Apartheid Wall between the Zionist entity and Mahmoud Abbas ruled West Bank. Donald Trump plans to build an Anti-immigration Wall along US-Mexico border modeled on Israel’s Apartheid Wall, some of which already exists. This entry was posted in Muslim World News and tagged Turkey. Bookmark the permalink.